The term ‘eucalyptus’ is derived from a Greek word, which means ‘beautiful bark’ or ‘well-covered’. The eucalyptus leaf (or gum leaf) is native to Australia and was first used by Indigenous Australians for its medicinal qualities. Today, the health benefits from eucalyptus are still evident with the oil extracted from the eucalyptus flower being used to produce various tea and honey products that are commonly used within the natural health field. I travel a lot but always happy to come call Australia home. I love the Australian landscape and flora. I don't like tacky Aussie souvenirs like the clip on koala. My Nana. Growing up in the country we always loved doing craft as a hobby. I have never followed fashion trends. I like being able to create something a little bit different, a little bit quirky. My sewing teacher from my teenage year, Evelyn who passed away last year for her patience, creative energy and love for the Australian bush. The Australian landscape and people. The term 'eucalyptus' is derived from a Greek word, which means 'beautiful bark' or 'well-covered'. The eucalyptus leaf (or gum leaf) is native to Australia and was first used by Indigenous Australians for its medicinal qualities. Today, the health benefits from eucalyptus are still evident with the oil extracted from the eucalyptus flower being used to produce various tea and honey products that are commonly used within the natural health field. 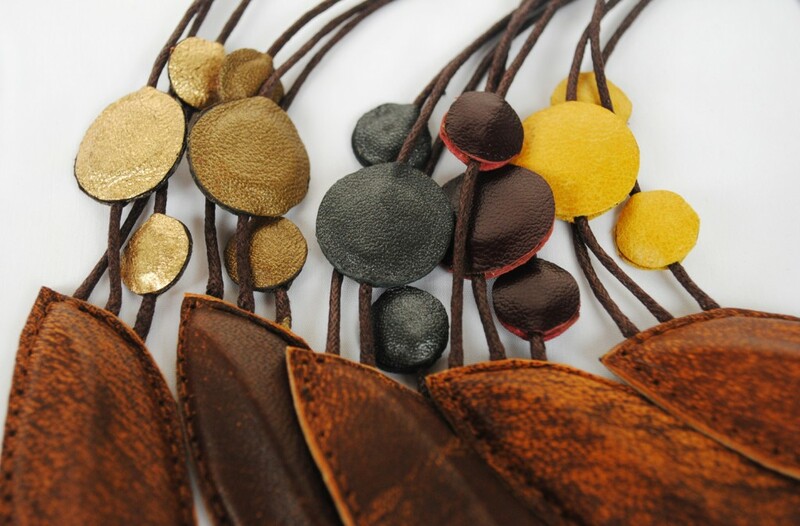 The leaf also has nutritional benefits for a number of native Australian animals such as the koala and possum. For example, whilst potentially toxic in large quantities, the Koala is able to digest and process the oil from the eucalyptus leaf, which forms a large part of it’s daily diet. Many of the species of eucalyptus trees are also known as 'gum trees', because, any break in the bark results in the sap oozing out of it. One of the interesting eucalyptus tree facts is that some of the trees of this genus are among the tallest trees in the world. The gum leaf has a long tradition and culture as a primitive musical instrument, held against the lips using the fingers of both hands. When air pressure is applied it can create music. 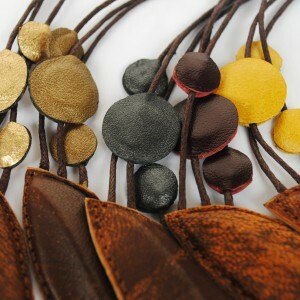 This Aussie hannmaid Gum Leaf Necklace has been made with love and care. On Etsy and around Melbourne. The Rose Street Artists market in Fitzroy. Town and Country Gallery in Yarragon. To provide travellers, buyers, tourists with a piece of Australia that has not been mass produced in China. « Hats For the Whole Family!